All children have the right to food, shelter and basic health care says our Bill of Rights. Children are a special group in our society. They cannot take care of themselves and deserve the love and support of both parents. This is why parents or guardians must give them what they need until they are old enough to look after themselves. Thanks to Operation Isondlo, many children in South Africa are now getting the support they deserve. ‘Isondlo’ is a Zulu word meaning ‘support’ or ‘maintenance’. Operation Isondlo is a government plan to strengthen the maintenance system in South Africa. It was started last year by the Department of Justice. The plan encourages parents to support their children even though they are divorced or separated. It also educates parents about their rights and responsibilities. Minister of Justice Brigitte Mabandla said Operation Isondlo helped the de-partment to get money from parents who did not pay and to give the money to the beneficiaries. Thanks to this plan many children have received maintenance money in the past months. The Maintenance Law makes it possible for benefits like pension and investments to be taken away from parents who fail to pay even if the benefits come from their employers, she said. This money is then used for unpaid maintenance. Parents could also be jailed for up to 12 months if they failed to support their children, she said. It is not always the father who has to pay maintenance. An man raising his child can also claim maintenance from the mother of the child if the mother has a job. Parents who adopted a child while living together also have the right to claim maintenance from each other after they separate. 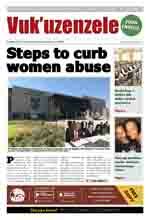 Paying maintenance is another way of reducing violence against women and children, Mabandla said. It also helps to fight poverty and contributes towards children’s education. 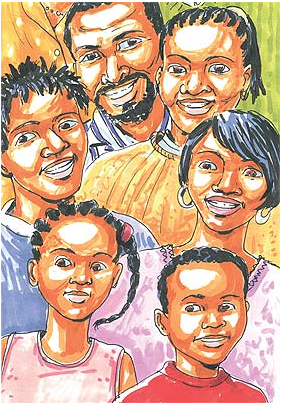 Through Operation Isondlo we can reduce the number of people who solely depend on child support grants for survival. pay for their children’s education and medicine. Parents can go to their magistrate’s court to claim maintenance. They can also contact the Department of Justice and Constitutional Development: (012) 315-1729, (012) 315-1723 or call 1020.